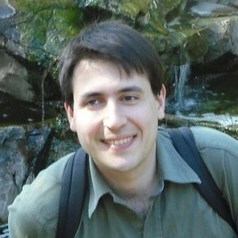 Dr. Loukides is a Lecturer (Assistant Professor) in the School of Computer Science & Informatics, Cardiff University, and a Royal Academy of Engineering Research Fellow. Before joining Cardiff University, he was a Postdoctoral Research Fellow at the Department of Biomedical Informatics, Vanderbilt University. He holds a PhD in Computer Science from Cardiff University and a Diploma in Computer Science from University of Crete, Greece. His research interests lie broadly in the field of data management with a focus on privacy. His recent research investigates theoretical and practical aspects of data privacy, including algorithmic design, optimization, and formal modeling, and explores applications in healthcare and business. He serves in the Editorial Board of Journal of Health Informatics and the program committees of conferences and workshops, including ICDM 2011 and PriSMO 2013. Dr. Loukides is a Guest Editor for the Informatics Methods in Medical Privacy special issue of Journal of Biomedical Informatics (JBI) and an organizer of the 4th IEEE Workshop on Privacy Aspects of Data Mining (PADM), which held in conjuction with ICDM 2013.